We begin the week here on My Poetic Side with a look at a selection of poetry-related news articles including a radio interview with Marie Heaney, an institute in dire need of repair and the shortlist for this year’s “Irish Times” Poetry Now award. On Friday the Today Programme featured a segment in celebration of St Brigid’s Day. Marie Heaney, widow to Seamus Heaney, the Irish poet, was one of the guests. St Brigid is one of the Patron Saints of Ireland, and Mrs Heaney recited a poem that her husband had written St Brigid and herself. She and her daughter then went on to speak about the poet’s love of poetry and women. Their appearance on the programme was just one of many events that were scheduled to take place over the weekend in celebration of St Brigid’s Day. 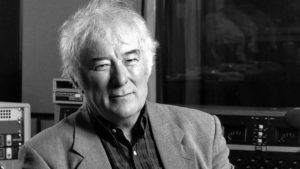 Heaney who won the Nobel prize in 1995 for literature passed away in 2013. The Elizabeth Barrett Browning Institute, named after the poet of the same name, has come in for some criticism recently as it is looking seriously run down. Criticisms have been made to Ledbury Places, the organisation who are charged with the upkeep of the late Victorian building, that the interior of the building, in particular, is looking very shoddy. Ledbury places have responded to these remarks saying that a great deal of money has in fact already been spent but it is a case of prioritising their limited funds to carry out the most essential works. There have been two lottery bids made in the hope of acquiring additional funds for the building, but they have been unsuccessful. Early last year around £80,000 was spent on the outside of the building repairing the chimney stacks, gutters, roof and some of the walls. This work was deemed necessary to make the building watertight. 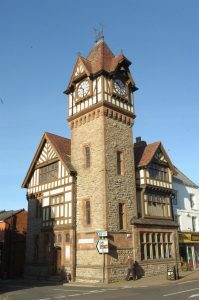 The main concerns that Ledbury Places have for the building relate to the clock tower, which they believe will need considerable work within the next five years. Emergency funds will need to be raised in order to carry out this work, and they are considering setting up a clock tower fund. The Institute was opened in 1896 and was initially just a reading room. It became the town library in 1938 and until a few years ago remained in use as a library. Six poets have been named on the shortlist for this year’s “Irish Times” Poetry Now award which has a first prize of €2,000. The list includes a writer who has previously won twice, Derek Mahon, and a further five poets, Eva Bourke, Ailbhe Darcy, Martina Evans, Tom French and Leanne O’Sullivan. The award has been running since 2005 and this year the winner will be announced as part of the Mountain-to-Sea book festival which will take place in late March in Dun Laoghaire. 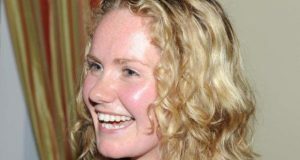 The winning poet will join a list of previous winners including Seamus Heaney, Harry Clifton, Sinead Morrisey, Paddy Bushe and last year’s winner, Leontia Flynn.